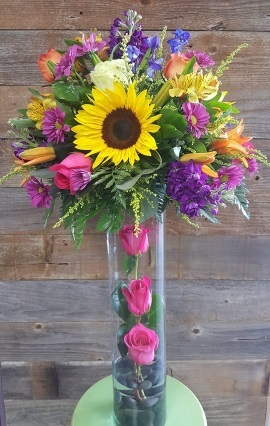 At Awesome Blossoms Florist, we specialize in personalized and creative designs. If you have a vision, our creative, talented designers will bring it to life in a custom floral arrangement. Proudly serving the Jarrell, Texas area, we're a full-service local florist that is family-owned and operated. Our knowledgeable staff is ready to assist you with placing orders for local delivery or anywhere in the world. Not sure what to send? We'll gladly help you with creative suggestions. For your convenience, we offer daily floral delivery to local funeral homes and hospitals. 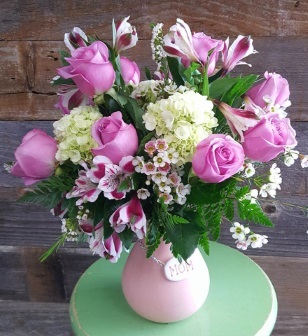 From shop owner, Jacquie H. ~ The floral industry is a passion, not a job. With over 24 years experience, I decided in 2015 to branch out and open my own business, where I can share my talent and experience with my customers. I have always loved the beauty of flowers and smiles and love that are sent with every arrangement. There is nothing like having a client tell you the idea they have and then seeing their reactions to the finished product, "You read my mind!" We hope you enjoy your online shopping experience with secure 24-hour ordering right at your fingertips. If preferred, you may call us to place orders direct at (512) 716-3062. 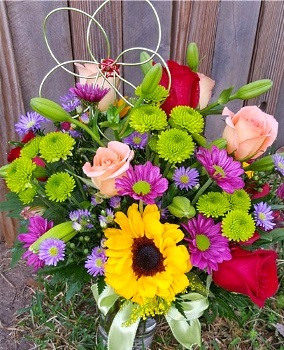 Call us when you need Sympathy Flowers and Funeral Flowers from the heart. You can always depend on our courteous staff to help you with ordering sympathy flowers for the funeral of a friend or loved one. We will design and deliver a funeral arrangement that thoughtfully conveys your heartfelt condolences. Order your custom Wedding Flowers and Party Flowers from Awesome Blossoms. Call us in advance at (512) 716-3062 to set up an appointment for a consultation. We will ensure your special day is a blooming success with one-of-a-kind bridal bouquets, flower arrangements, corsages/boutonnieres and on-site floral designs & decorations. Shop for House Plants and Unique Gifts for All Seasons & All Reasons. Browse our assortment of Dish Gardens, Succulents, Green Plants & Blooming Plants for a gift that adds life to any room, office or outdoor space.lush stuffed animals, balloons, fruit baskets, gourmet baskets, scented candles, silk arrangements, home décor items, baby gifts, candy & chocolates and more! Call or visit us today… we look forward to meeting you! Thank you for visiting our website for flowers delivered fresh from a local Jarrell, TX flower shop, Awesome Blossoms Florist.